With insurance companies offering less money based on changes to the law more and more cases are having to be tried in front of a jury. This article will address the steps of a lawsuit from start to finish. Remember, ever case is different and fpr a thougough understanding of your rights please contact us. Our personal injury lawyers will explain your options and the best course of action. After being involved in car accident you have the legal right to file a lawsuit. A lawsuit stemming from a car accident will begin with a complaint, filed with a summons. A complaint is a legal document that lays out the allegations the plaintiff has against the defendant or defendants. A summons is a standard form which instructs the individual served that they have 30 days to file an answer to the complaint with the court. The answer is the first opportunity for the defendant to respond to the allegation of the plaintiff. The answer requires the defendant to admit or deny the allegations. Further the answer allows the defendant to raise any legal defenses they plan to bring during the life of the lawsuit. Along with the answer, the defendant may include a counterclaim (against the plaintiff) or a related third-party claim against a third party. A third party complaint makes the defendant a plaintiff in a sense in a different matter. Prior to file an answer the defendant can file a motion in which it raises all its defenses, asking the court to dismiss the plaintiff’s complaint. A motion to dismiss can raise the following defenses including but not limited to insufficiency of process, insufficiency of service of process, failure to join a party, lack of jurisdiction over the person or subject matter, and failure to state a claim upon which relief can be granted. Failure to file an answer or request additional time to file an answer within the allotted time allowed, the plaintiff can move for entry of default. If granted the plaintiff can move for a default judgment against the defendant. If the default is granted the defendant will be limited to what they can argue and possibly wont be able to argue anything. After the lawsuit is served and an answer filed the lawsuit moves into the discovery phase. The majority of the effort and time is spent on discovery. Discovery is where the parties exchange documents and other information about the issues relevant to the litigation. Discovery comes in multiple forms. These include written interrogatories or questions, which must be answered under oath; requests for production of documents; requests for admissions, where either party can request the other to admit or deny certain facts. These are judiciao admissions and the party is stuck with the same. Finally depositions, wherein the othersides attorney can ask direct questions which are transcribed and taken in front of a court reporter or other court officer. During discovery it is not unusual for the parties to bring motions, such as a motion to compel the other side to provide information, which the court will rule on. The close of discovery allows either party to bring additional motions which may dispose of all or a portion of the case. Typically the moving party argues that after all the facts have been provided, there is not a scintilla of evidence to support the non-moving party's position. The court can rule on the motion thereby taking some questions away from the jury. In NC superior court alternate dispute resolution (ADR) such as mediation is mandatory. While at any time either party may settle the case they must participate in mediation. Arbitration is required in district court but the decision is not binding. If the parties do not reach an agreement via settlement through negotiations or mediation (and if the matter is not disposed of by motion), the case will go to trial. In NC either party can choose to have a jury to hear a personal injury case. The first step is for the attorney to argue any pre-trial motions. Many times the arguments will deal with what evidence can and can't be heard by the jury. After the legal arguments are made the jury is selected. The plaintiff is given the option of making an opening statement followed by the defendant. Throughout the trial, the attorneys present evidence and arguments for each side, and the judge or jury decides the unresolved issues. Following the close of all the evidence the judge instructs the jury on the law and the jury decides the issues based on the evidence presented. Following the decision of the jury the judge will order that judgment be entered for the party who wins. After the judgment is recorded either party can move to appeal the decision based on legal grounds. NC is in the minority of states which prohibits the plaintiff from receiving any compensation if he was contributorly negligent. While the defense can move via summary judgment to have the judge decide if the plaintiff was contrib it would be unusually for the judge to grant such a motions. Typically contrib is a question of fact, which is to be answered by a jury. Even if it is very close most judges will let the case go to the jury. Even if there is evidence of contrib there are some legal arguments to get around contrib. For example if the defendant had the last clear chance to avoid the accident he will remain ultimately responsible. Further, if the defendant was grossly negligent he will be responsible regardless of the plaintiff's contributory negligence. As every case is different it is hard to say how long all these steps will take in your particular accident case. Further, as a case can be settled at any time the case could be over right after filing a lawsuit. That said, each county differs on how long it takes to get into court. Some counties, like Mecklenburg have scheduling orders which require cases to follow certain timelines. Most cases in Mecklenburg will be tried within 14 months of filing a lawsuit. 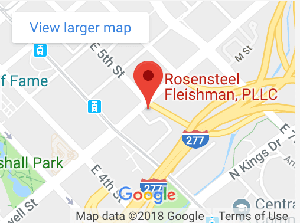 You can speak with an experienced attorney at Rosensteel Fleishman here in Charlotte, NC, can explain all the steps involved in accident litigation and can effectively guide you through each stage as well as answer all of your questions. Please contact us to discuss your case.